إذا كنت تبحث عن فندق بموقع جيد في جولد كوست، فقد وجدت ضالتك في Surfers Del Rey Apartment . يمكن من هنا للضيوف الاستمتاع بسهولة الوصول إلى كل ما تقدمه هذه المدينة النابضة بالحياة. كما يمكن الوصول بسهولة إلى Scenic Day Tours, Super Duck Adventure Tours, سرفر بارادايس. يعمل Surfers Del Rey Apartment على ضمان إقامة مريحة لضيوفه من خلال خدماته الممتازة وحسن ضيافته. يقدم الفندق فرصة للاستمتاع بشريحة واسعة من الخدمات بما فيها: تسجيل وصول/خروج سريع, تخزين الأمتعة, واي فاي في المناطق العامة, صف السيارات, التوصيل من وإلى المطار . استمتع بوسائل الراحة الراقية في الغرف أثناء إقامتك هنا. بعض الغرف تتضمن تلفزيون بشاشة مسطحة, مكيف هواء, تدفئة, مكتب, شرفة/ تراس لمساعدتك على استعادة طاقتك بعد يوم طويل. صممت خدمات الاستجمام في الفندق والتي تتضمن حوض استحمام ساخن, مسار جولف - ضمن 3 كم, حمام سباحة خارجي, سبا, حديقة لمساعدتك على الاسترخاء والراحة. مهما كانت أسبابك لزيارة جولد كوست، فإن Surfers Del Rey Apartment هو الخيار الأفضل لإقامة مثيرة وممتعة. So happy with our apartment at Surfers Del Rey! Kids lived in the pool! Short walk from everything. Heather was so lovely too! Would definitely come back again! Pros : good location, great views, foxtel Cons: no aircon in bedrooms, no free WiFi It's a good place to stay but I think I paid more than what it's worth ($185 p/n). Not worth more than $120-130. Walking distance to surface paradise. The apartment realy spaces & my kids enjoyed. The owner really helpful. Thank you for your feedback. The units are for 4 people and you should have booked for 5. Have a good trip home. The apartment was good with suffice essential provided. Plus the hosts were really great and very helpful. Location wise, it is perfect - just a walking distant to the Surfers Paradise tourist spots (beach, restaurant, mall etc) Definitely will come back and recommend to family & friends. To Heather & Mark, thank you for the great hospitality! 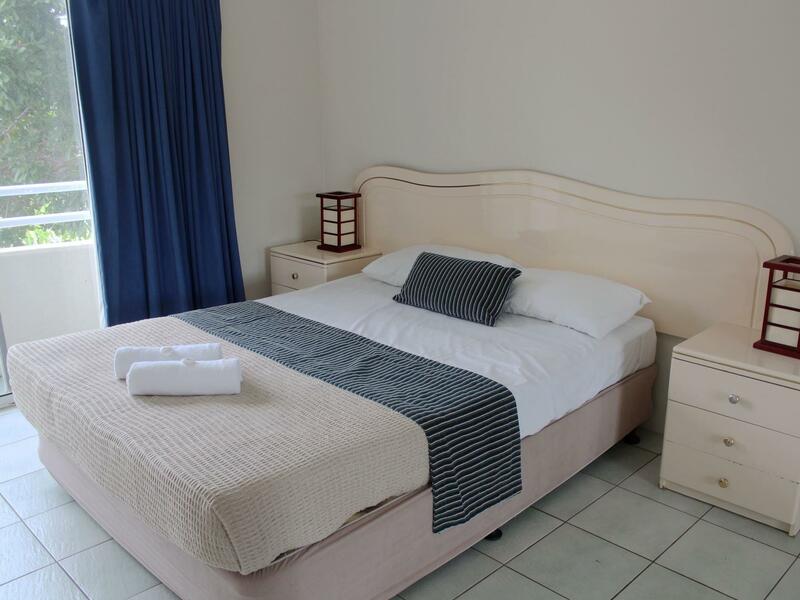 Great service, great 2 bedroom unit and great facilities. Close to Surfers. Would recommend to friends and would stay again. Walking distance to Cavil Ave. Beautiful views and surroundings. Pros: Bit cheaper and good location. Cons: No attention to basic cleanliness and hygiene. Needed handwah of all crockery, pots & pans and cuttleries. No calculation to determine what should be the minimum supply of tea, coffee and sugar for the no of guests and nights of stay bought.. No lift- extreme hazards for lifting luggage by climbing the staircase especially if you have families with kids. Super relaxing, comfortable, friendly and helpful owners. Loved our stay! 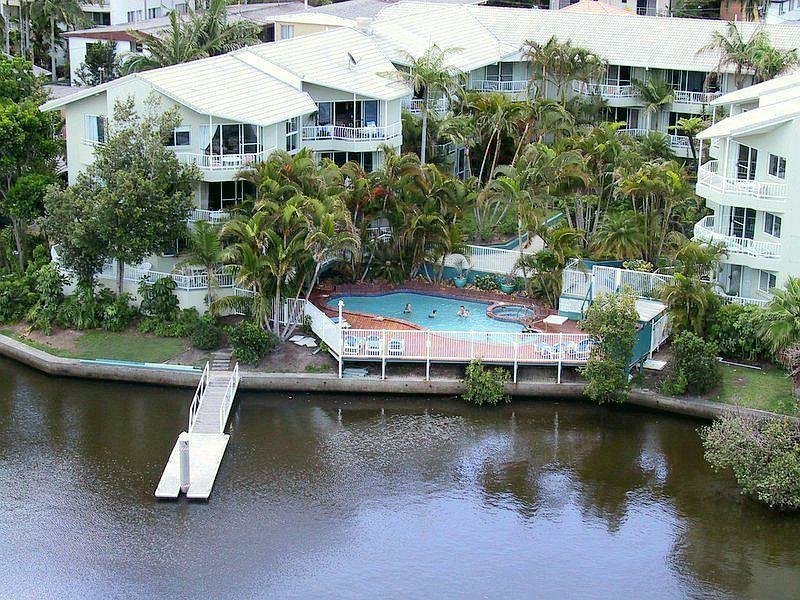 The location is good, less than 10 minutes walk to Surfers Paradise beach and leisure area (malls, bars and shopping). Staffs are friendly and there are a lot information at the reception area. Good: We checked in late and it was very easy. We just call the number as stated at the reception door and the staff/manager give the code for the safety box which contain our key in it. Location is very strategic, safety of the apartment is very good as we need the key to get through every door, the room has all the utilities like iron, laundry machine, kitchenette and cable TV. The bed is comfortable and extra blanket are provided. Not so good: No lift (our room is on the third floor), toilet can be cleaner. Overall it is a good stay and value our money. Friendly Staff and adequate hotel. Needs refurbishment. U get what u paid. Could be cleaner ......great location good staff.